Sadie Figueroa: commisioned painting complete!!! 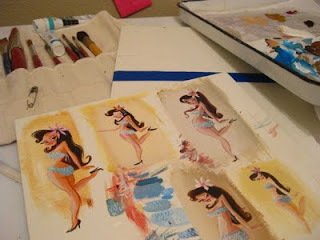 I love seeing your process and the little color comps... she looks really cute! Beautiful! I love how complete your color comps are.